Fixing A Fatal Flaw / The Novel ~ Ron Samul, M.F.A. In this post, I would like to consider what writers should do if they realize that there is a considerable problem with their novel. It happens and sometimes, it can cripple the way you look at the novel or short story. At some point, it all went to crap and you have to either drop it in the wastebasket or deal with the issue. Writing a novel is hard work and it takes time and creativity to make it work. Part of what sets good writers apart from the rest is how they face adversity. Here are some things to consider. 1) Can you identify the problem? This can be a challenge. Sometimes, the problem is complex or compounded by a few things. So, it is important to value your creative process, but it is also important to look for the flaws in your writing. Is it a character? Is it a plot twist? Is the location (setting)? Is it motivation? Conflict? If you want to go with the gut check - go back to the pages where you were happy or felt like you had something special. Find the place where that feeling stops. And that is where you need to look. I remember writing about 90 pages and cutting all the way back to page 30 because I was just frustrated with the direction. I went back and tried it again. It also helps me to keep a writing journal - a log of my writing thoughts. It doesn't have anything but the project. These entries help shape my next moves, my ideas, and connects my own motives for adding and subtracting things. This might be a good way to create low-stakes writing when you are stuck or looking for an issue. Sometimes, you just can't define the problem. It is around this time that writing goes from the creative, inspiring art that you love, to the hard and sometimes oppressive work that you dread. Every novel has those moments of complete hopelessness. This is where lesser writers hang it up. This is where your talent, creativity, and your perseverance needs to master the art of writing. The craft starts when inspiration is gone. 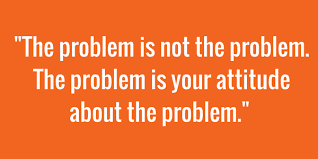 If you are stuck, then you need to find someone to help you find the problem. 2) Have a core reading crew that you trust. cuts right through you. If you aren't ready to show your work, then you have to find your own issues. But if you have a few reader that will take the time and give you good first impressions, they might be able to define some issues that will guide you back. Pick readers who are versatile. You don't want readers who are the same. You want a good plot person, and a good character person, maybe a good line editor, and one crazy person who gets your view of the world. They all don't have to read it, but pick the readers who might help the most. The hardest part: listening to their advice. When a reader takes some time to read pages for you -- then listen. Don't defend, don't get bent out of shape about the feedback. It takes some practice but listen. More importantly, ask good questions. What did you think might happen after chapter one? How did you see the antagonist by the third chapter? Where did you disengage? Once you have the feedback, don't make changes right away. Take the feedback. Sit on it for awhile, let it bake in your head. Reread their comments, think about what they said. Try to be objective and don't take it personally. (Harder than you think, I know). Then start making shifts and adjustments. In the end, you don't have to change anything, but if you know you have a problem and you are looking for a solution -- change is coming anyway. Why not hear it from the most trusted readers you know. 3) Read books like your book. This may not solve your problem, but it might inspire you to see how other writers deal with some of the issues you are working on. For example, if you are writing murder mysteries, you might seek out books like yours and see where you liked the moves that were made. Maybe you like the protagonist and you want to rebuild your character a bit more. I also read those silly MasterPlots books in the library. Basically, they are overviews of novels, plays, and short stories. I read them and listen to the simplicity of some of the great novels and stories. I look for the twist or the elements that are important. Similar to Occum's Razor - often the simple and refined stories are the stories that make the most impact. By looking at them objectively in a reference book, you can see the refined simplicity and see if you can boil down your own ideas to one or two simple strands. 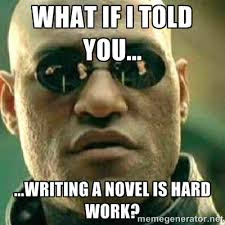 You are writing a novel and you are stuck - this is where it gets good. You have skills, the ability, the support, and the internet to resolve your issues. Use the tools out there and keep writing. When you leave something for too long, it is hard to get back into it. Continue to think, write, and create even when you are stuck on something. Don't give up. Even if you can't create new pages, work on research, find readers, or write in a writing journal to document what you are thinking. It is all important and it is all very serious. It should be very important for you to get on track again. Get to work and use the tools and abilities that you have worked so hard to acquire.